Sigma Technology Hungary is the Intelligent Company of the Year 2017 in Hungary. 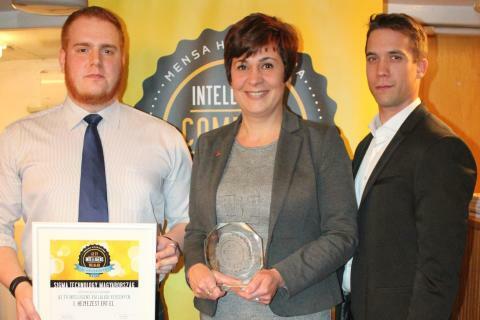 Every year, Mensa HungarIQa, the Hungarian branch of Mensa, the largest and oldest high IQ society in the world, organizes the Intelligent Company of the Year competition. According to the rules, the winner of the Intelligent Company of the Year award becomes the company with the highest number of employees with a “Mensa-score.” Mensa-score is an IQ test result, which falls in the top 2% of the population. 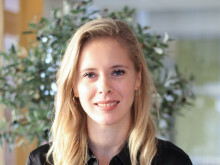 Sigma Technology Hungary takes part in the Intelligent Company of the Year competition in the category of medium-sized enterprises for the third time and for the third time wins. Mensa HungarIQa, the National Mensa group of Hungary. The Hungarian branch of Mensa was founded in 1993. At the moment, Mensa HungarIQa has about 2,900 members, and the number is constantly increasing. Sigma Technology is a part of Sigma Group and is a global supplier of product information, embedded & software design, and offshore development. We are experts with a passion for technology and information, and take pride in delivering quality and constantly improving our deliveries. Our philosophy is “Local Drive – Global Strength”, therefore we have offices worldwide to be close to our customers. Sigma is a leading consulting group with an objective to make our custom-ers more competitive. Our means is technological know-how and a constant passion for finding better solutions. We are 3,600 employees in 12 countries. Sigma is owned by Danir, held by the Dan Olofsson family. We are happy to announce that Sigma Technology Hungary has been ranked first in the Intelligent Company of the Year 2015 competition in the mid-sized enterprises category. The competition was organized by Mensa HungaIQa, the Hungarian branch of Mensa International, the largest and oldest high IQ society in the world.